Why Do Some Introverts Take on the Emotions of Others? As a counselor, I see many people who take care of others before they take care of themselves. The vast majority of these clients are introverts of some variety. This very pro-social way of thinking comes from the vast empathy inherent in many introverts. Caring deeply about others is something that comes naturally. It’s this intense need to help that can lead introverts down the path of exhaustion and emotional burnout. Let’s take a look at the science behind why some introverts take on the emotions (and burdens) of others, and how they can avoid the dangers of enmeshment. Empathy, in neuroscience terms, is a function of what are called “mirror neurons.” Simply put, these are neurons that help us imitate others. They’re found in our prefrontal cortex, the part of the brain right behind our eyes that’s responsible for morality, planning, decision-making, and social behavior. For example, if someone takes a drink, does your mouth water? Do you get thirsty? That reaction is your mirror neurons firing, creating the same conditions in your brain as in the brain of the person drinking. This helps us learn as children and explains why toddlers are so good at mimicking our every move. These mirror neurons are also responsible for mimicking emotional states. That’s why, when we watch a movie where the lead loses someone they love, we, as the audience, might feel sadness. Or why, when someone is extremely happy, we feel and understand that happiness, too. The mirror neurons in our brain are mimicking the feelings we’re observing in others in our own brain and body. Thus we experience empathy. And many introverts — as well as highly sensitive people — are highly empathetic. This can have a downside, though. Empathy can turn into a situation we call enmeshment. This is a condition where instead of being able to understand and feel others’ emotions, we effectively take on others’ emotional burdens as if they were our own. Enmeshment is simply a blurring of boundaries, and that blurring of boundaries can have catastrophic consequences for both people in a relationship. For example, one of my clients recently discussed that she “has to” take care of her mother because she is sad so much. This client’s mother is more than capable of taking care of her own feelings, but because my client is so empathic, she takes on her mother’s feelings as her own. This is an enmeshed relationship between a mother and a daughter. The mother doesn’t actively realize how much of her emotions her daughter is taking on, and the daughter doesn’t realize that in “taking care of” her mother, she’s holding onto sadness and stress that isn’t hers to carry. The consequences of enmeshment or blurry boundaries can be depression, anxiety, stress, and other mental health concerns. When we carry our own emotions — plus those of others — it can be too much to handle. Many introverts, in particular, struggle with carrying all of these emotions because they have a tendency to analyze and over-analyze emotions. When introverts can’t understand why they’re feeling sad or anxious, they may spiral downward into negative thoughts. The worst part about enmeshment for introverts is that, once they start, it’s hard to stop. If we look at the case of my client, she began to take on the feelings of her friends, then her acquaintances, and then anyone who happened to have strong emotions around her. It became so bad for her that she started having stress-related illnesses, including GI issues and headaches. When the doctors couldn’t tell her anything but “reduce stress,” she came to me for help. Together we discovered her blurred emotional boundaries with everyone around her. When we finally discovered that it was her relationship with her mother, coupled with her extreme introversion and empathy, that was the root of her concerns, it was a lightbulb moment. We were able to start working together on which emotions were hers, and which were her mother’s. For any introverts struggling with enmeshment or blurred emotional boundaries, it helps to start by taking an inventory of your emotions. What are you feeling? Can you pinpoint the cause or beginnings of these feelings? For example, if you’re angry or upset, could these feelings be traced back to a fight with a friend? A frustrating day at work? Being able to pinpoint the start of your feelings helps you to understand them and learn from them. If you can’t find a catalyst for your feelings, or they feel distant or unreal, it may be time to look into which relationships are draining you. Are you taking on stress from your coworkers? Is your friend angry with someone, and she just vented to you about it? These may be clues that the emotions you’re carrying aren’t yours at all. Pinpointing emotions and their roots is the easy part of this equation. The next step, though difficult, is the most important: setting boundaries. This means knowing when to say “no,” when to take a break from a relationship, and how to let others take care of their own feelings. For introverts, especially highly empathic ones, this is the most difficult part. It helps to remember that the kindest thing we can do for others is not to try to take away their feelings, but to let them learn and grow from them. This does not mean cutting off empathy or never helping others. It means doing the hard work of being there for others while taking care of ourselves, too. One of the best ways I’ve found to help recreate boundaries is self-compassion. Because enmeshment and blurred boundaries can erode self-worth, self-compassion can bring us back to how valuable we really are. Introverts, remember, your needs are just as important as anyone else’s needs. Kristin Neff is a self-compassion researcher and has many exercises and resources for self-compassion on her website, self-compassion.com. One of my favorite self-compassion exercises is the Self-Compassion Break. This is a short but powerful exercise to help you practice self-compassion in your daily life. To take a Self-Compassion Break, first think of a difficult situation in your life right now and connect to your feelings about it. 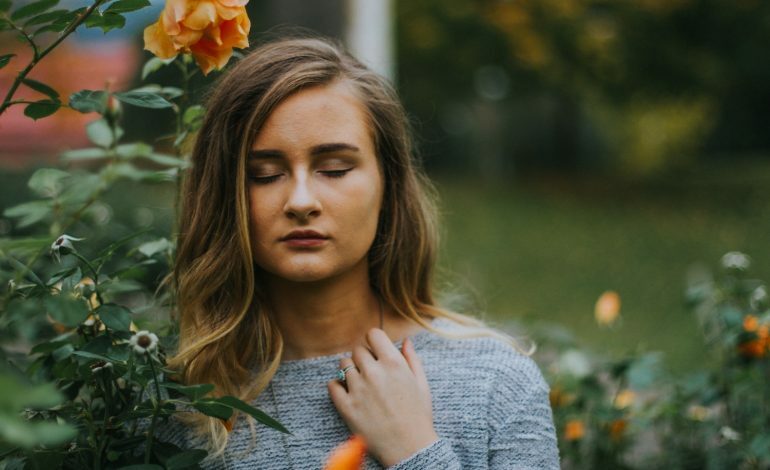 Cultivating self-compassion can help introverts set boundaries (even with themselves) and not feel overwhelmed by others’ emotions. For introverts, staving off enmeshment can be a heady task, but with the right resources and the right people in your life, you can have healthy boundaries that allow you to be empathetic and caring while still holding onto your center. The empathy of an introvert is a precious gift that should be nurtured and prized. But for empathy to be effective, introverts have to take care of themselves. That’s a prescription — go fill it! I'm an International Professional School Counselor currently in Amman, Jordan. I'm licensed in the state of WY and am also certified as a yoga and meditation teacher. I'm an avid reader, a part-time writer, and an INFJ personality with some INFP characteristics. When I'm not counseling, reading, or writing, you can find me spending time with my partner and greyhound either playing board games, doing yoga, or hiking.